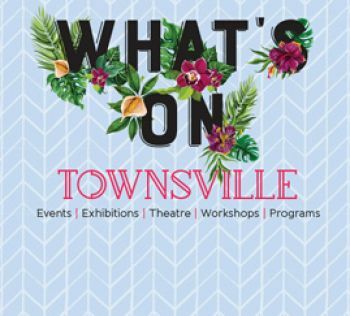 Townsville celebrates multiculturalism in many ways throughout the year – with music, performance and arts in theatres and galleries, with International food stalls at markets and festivals, but also with specific events to share the diversity of the region such as the annual Cultural Fest. Townsville City Council supports a range of events including some which are conducted at various times: The Greek Festival, River Festival, the North Queensland Basque Festival, Diwali (Hindu Festival of Lights), PNG Cultural Night and many others. For more information on upcoming events, please visit the Events Calendar. Every year, the Council welcomes hundreds of Townsville residents as new Australian citizens. Citizenship Ceremonies are held every two months throughout the year to present certificates and gift packs to formally welcome new citizens. For information call 13 48 10. ​Information on how to apply for Australian citizenship. CityLibraries is committed to the provision of resources for diverse cultural groups. Library Services maintain a rotating collection of over 600 titles in 27 languages, drawn from the State Library of Queensland collection. Visit the CityLibraries website for more information. The main aim of Sister City contact is to create friendship and understanding between peoples and to lay a foundation of goodwill and exchange for future generations. All of Townsville's Sister Cities are situated in the Asia-Pacific region. Over the past fifteen years, Townsville has signed Sister City agreements with six cities. For more information visit our Sister Cities website. The gallery presents a variety of exhibitions throughout the year, and has a strong commitment to representing culturally diverse art forms to the public. These exhibitions are supported by floor talks and guided tours with guest curators, artists and experts, to encourage understanding and celebration of the arts. Visit our gallery website for more information.